Leveraging videos for marketing is a powerful strategy to build awareness, communicate meaning behind a brand story, and promote your business. As marketers, we know developing or coordinating a quality marketing video can be time consuming and expensive. However, we know it’s worth the effort and resources. People gravitate toward captivating stories that evoke emotion. Forrester Research proves this: one minute of video is worth 1.8 million words. Make the most out of your video investment by repurposing your content in ways that maximize its value and potential. Let’s walk through some ideas to creatively recycle or reuse your hard work. One of our favorite ways to repurpose video is to break it down into short clips for social media. Take your three-minute video and chop it up into a handful of quick snippets. These short, digestible bites can help you get extra mileage for your video while driving social media traffic back to your website using a compelling CTA. Keep in mind that organic reach is very low these days, so repurposing isn’t just smart: it’s necessary, because less than one percent of your social media followers will see your content each time you post. If you share video bites often and strategically, your video is more likely to be found. Let’s talk about a recent example. After helping our client Action Floor Systems develop a corporate brand video, we created a short clip for Instagram as another method to drive viewers to the full YouTube video. RELATED: Do you have a story worth repeating? This tactic is a simple way to reach more people utilizing one piece of content — especially since social video can generate 1200% more shares than text and images combined. 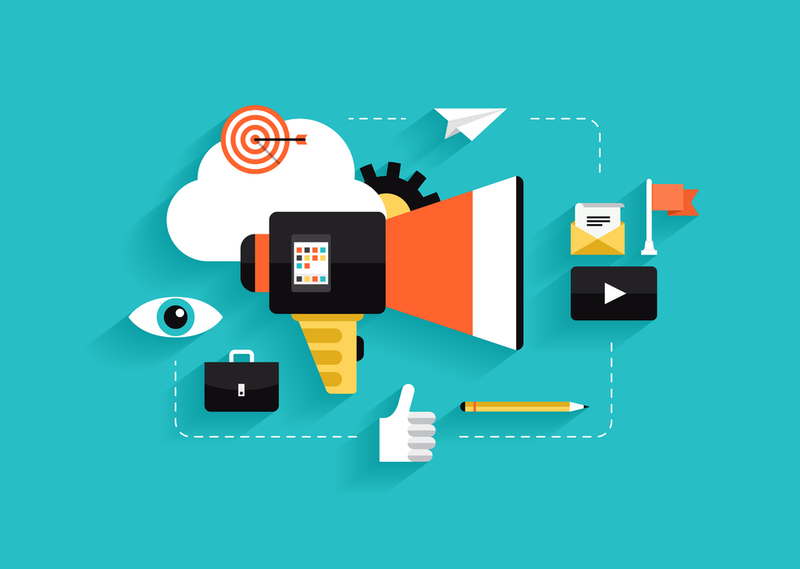 Often, marketing videos are created and simply placed on an About Us page and left there. When you spend time creating an impressive piece of content, ensure it’s used in multiple places. This could include embedding your product- or service-related video in any relevant landing pages, which is an especially smart tactic considering a video on a landing page can increase conversion rates by 80 percent. Consider publishing your video in more places besides just YouTube. YouTube is great if your target users are on that channel, but you’ll likely reach a wider audience if you vary your posting channels. Consider posting on Vimeo, publishing to Facebook, adding it to your website’s homepage, and more. For the four other repurposing tactics, visit our full blog post about how to reuse your marketing video.